Your wedding day is a very special one and you only have the one chance to get it right. The evening reception makes up by far the biggest part of the day, so choosing your entertainment is critical. When booking entertainment you will need to think about all your guests, whatever their age and taste in music. 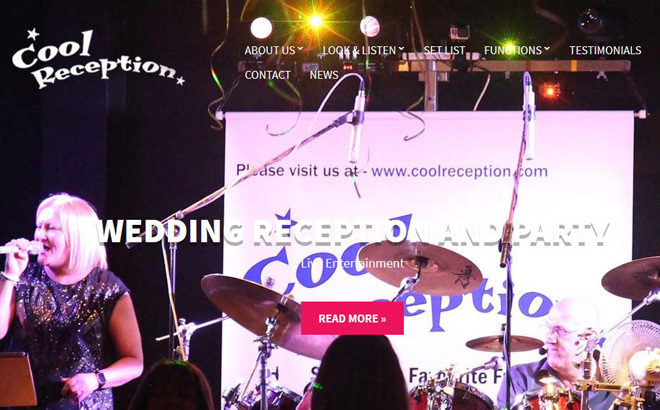 Cool Reception have the benefit of having played at over a thousand weddings and we know what it takes to make a successful one, so why not take advantage of our expertise? Weddings make up around 80% of Cool Reception’s schedule, so our experience is invaluable. We treat every reception as a ‘blank canvas’, so when it comes to the choice of music, no two are ever the same. 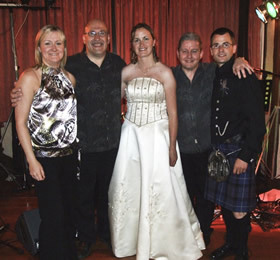 The ability to give your guests a Gay Gordon’s one minute followed by a mix of Abba hits the next, or a song by ‘The Killers’, Cool Reception are one of the most flexible wedding bands Scotland has produced, and just as flexible as a disco. Where needed we also provide background music at the beginning of the evening and during the buffet. 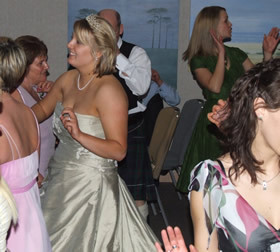 We also provide non-stop mixes of music for dancing to during any breaks, so there is no pause in the entertainment. Getting the right atmosphere at every wedding reception is always important. 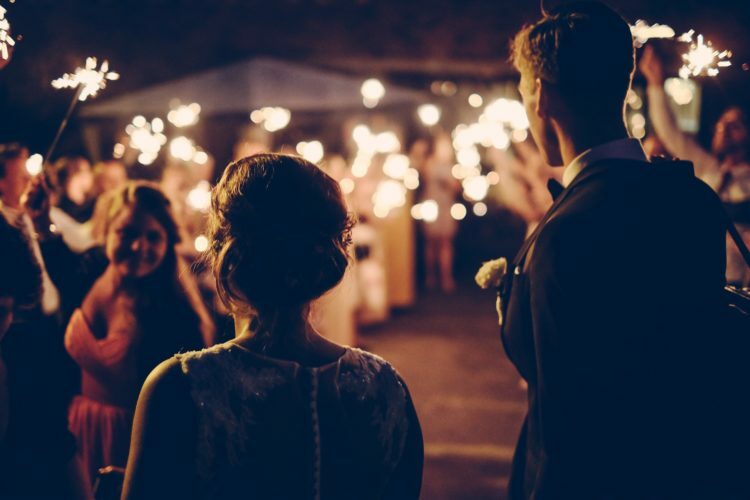 Dimming the lights to create the perfect party mood is vital, and Cool Reception will provide a top class dynamic light show for the venue and also provide stage lighting for themselves as long as there is space to do so. So if you want a night to remember for all the right reasons then don’t delay. As you can imagine we tend to get booked up well in advance so to avoid any disappointment get in touch as early as possible.